From its first airing way back in 2007 the long running Benidorm has been a ray of sunshine on many people’s TV screens. Now ended after it’s tenth series, writer Derren Litten has created a stage show to equal the hilarious best of this popular programme. The Solana is about to be taken over by a large hotel chain and having already been downgraded from 4 to 3 stars, the long serving staff are all concerned for their jobs. Knowing that there is an undercover hotel inspector on site, they go out of their way to try and impress them. The focus of this surrounds holiday makers Sofie and Ben played by newcomers to Benidorm, Tricia Adele-Turner and Bradley Clarkson. A simple set quickly rotates between scenes between the hotel reception, salon, poolside and Neptune’s Bar. This is extremely effective. There is a sixteen strong cast and the majority of lead characters from the final series are present. 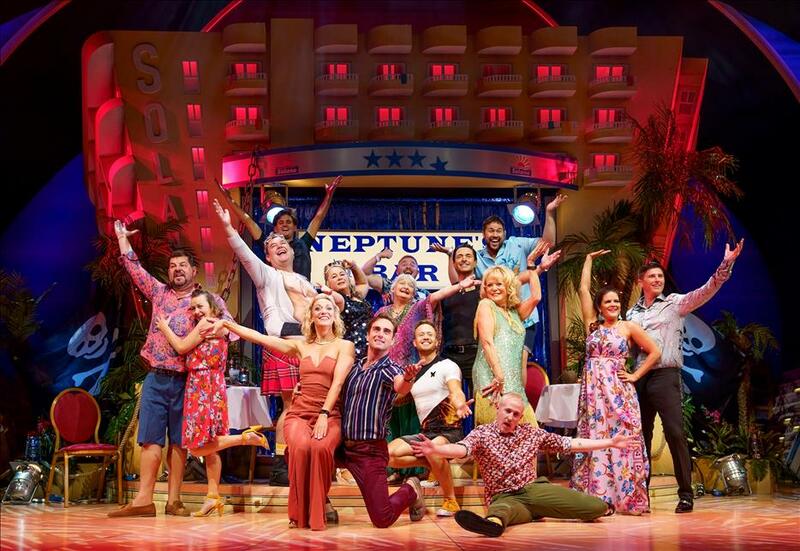 Jake Canuso (Mateo) continues as the Spanish barman using all of his womanising moves to sweep the female guests from their feet, whilst also showing other skills with a touch flamenco dancing in Neptunes Bar. 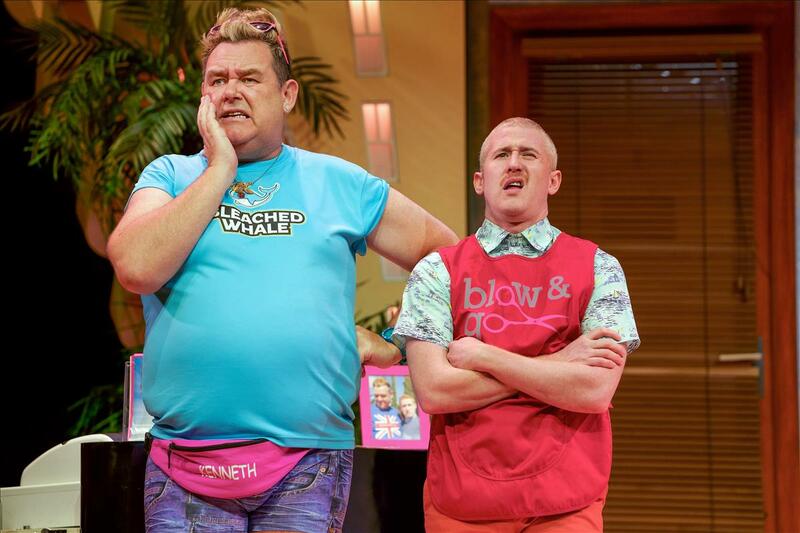 Tony Maudsley as the hair and beauty salon manager Kenneth, still wearing the tightest of hot pants, provides plenty of the comedy often using his best friend Liam (Adam Gillen) as the foil. Sherrie Hewson as Solana Manager Joyce Temple-Savage is determined to save the hotel and everybody’s job and will do anything in her power to achieve this goal. Jaqueline (Janine Duvitski) continues where she left off and provides plenty of innuendo as the queen of the swingers. Shelly Longworth continues her character Sam and in addition to a little bit of romance offers a very good performance of the Faith Hill song “There I’ll Be” during the second act which is set in Neptunes Bar where resident singer Asa Elliott (as himself) runs the entertainment. Benidorm is a cult classic of it’s own and this laugh a minute show will not disappoint fans of the TV show. The audience at The Liverpool Empire were on their feet at the end to give a very well deserved standing ovation. Even if you haven’t seen it on TV (where have you been! ), this slick and hilarious stage show will have you rolling in the aisles with laughter.